This week has been interesting. It’s been a week since I took the plunge and decided to get a place on the SDW50. Why? Well, I’m still not sure. As one of my running buddies said, “it’ll be a laugh!”. 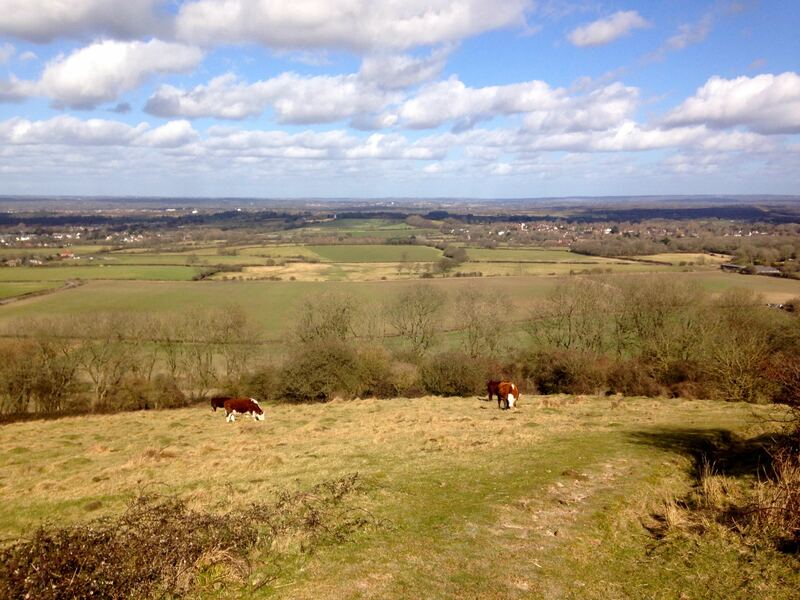 My plan for this year (formulated in the autumn, but still too late to get a place) was to do the NDW50. Living 2 miles away from it as I do meant that I run a lot of the South Downs Way, so I thought it might be nice to run the North Downs instead. However, by the time I’d finished prevaricating I was much too late to get a race place. The waiting list was also full. What I didn’t realise was that the guys and gals at Centurion try to accommodate as many runners as possible, so by mid February, they’d managed to clear the waiting list, and had some places left to spare. I thought about for a moment or two, listened to the haranguing from a few running buddies, asked permission from my better half, and thought what the hell. So I’m in! I’ve been sort of following a training plan inadvertently anyway. 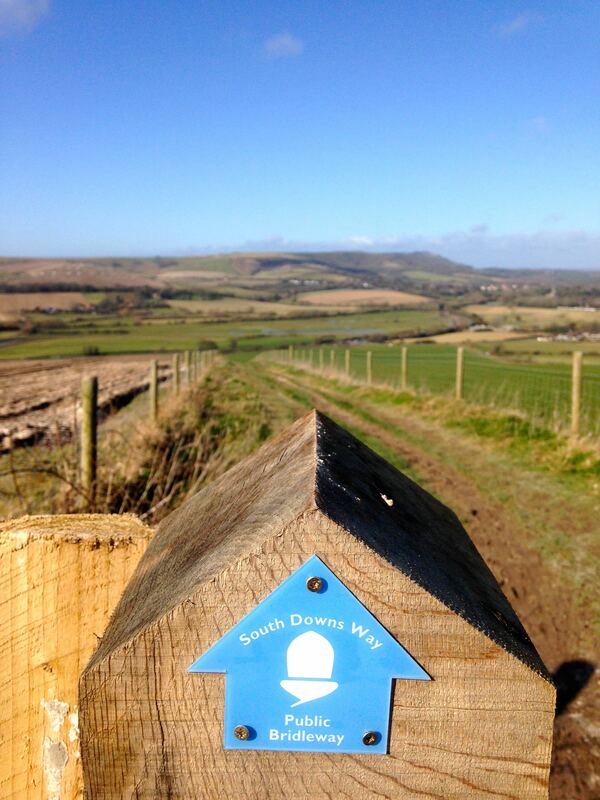 Darren has been dragging me around the South Downs for the past month as part of his own SDW100 training plan (which coincidentally includes the SDW50), so I guess I’ve been following a training plan to get me ready anyway. This weekend was different though. 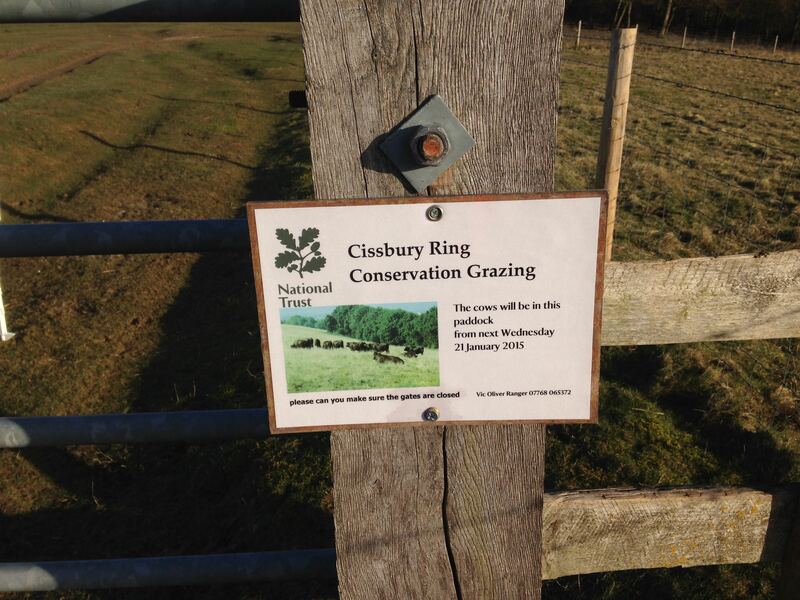 While he had a race to do (Steyning Stinger – 26 miles of Downs and mud! ), I had nothing. 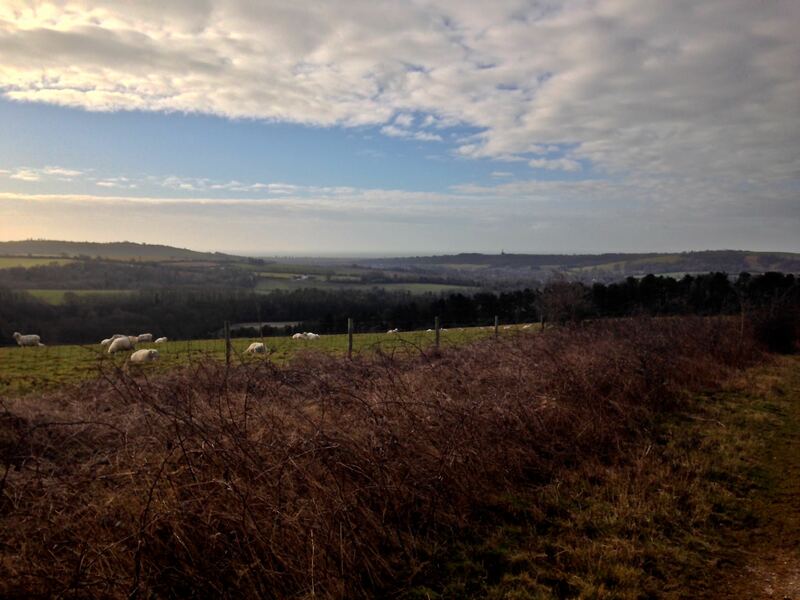 With SDW50 in mind, I decided I would run the first half (almost!) of the route, then head for home when I thought a marathon distance was in the bag. But before this, Saturday morning saw us at the Preston Park Parkrun giving our speed legs a test. This is the first park run I’ve done since 2013, partly because I’m not that fast, partly because it seems a faff to get up on a Saturday to get up to run only 5kms. But, as I was curious to see what I could do, I went. The weather could have been better, but was good enough. Wind assisted us on the back-straight, and the drizzle kept us cool (I actually didn’t warm up until the 3rd lap!) enough to give me and Darren a PB each. Both of us knocked around 20 seconds off, a 2% improvement!!! On Sunday morning I parked off a side road near to Hill Barn recreation ground at a little before 8:00am under clear skies, having had the barest of breakfasts – a hot Ribena, a few grapes and a few cashews. I came prepared with two packets of crisps, two Nakd bars, a Soreen bar, and two woefully small bottles filled with salted water. The route out of Worthing was quite straightforward, if a little ad-hoc: I had pretty much determined the route the day before as a rough guide but left it to memory rather than taking a map or plugging a route into my Garmin. I’d also worked out my route was a little shy of 24 miles, so I was hoping to ‘get lost’ a little on the way to increase the distance. 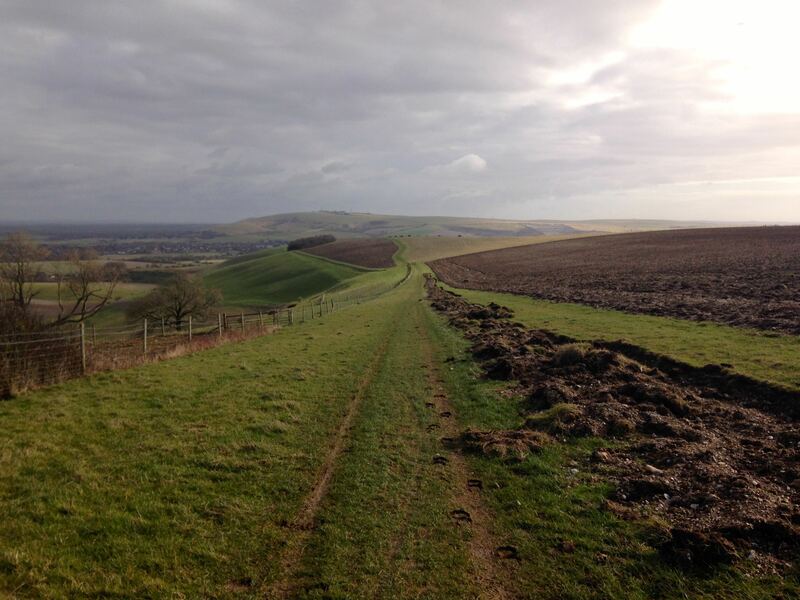 I started following the route for the WSFRL Hangover race until I remembered I could do it in reverse until I got to Cissbury ring, so cut a left as soon as the route presented itself. When I reached the ring itself, I headed north into the unknown. For the next two miles or so, it was new territory. This bit went reasonably okay. My map-memory was pretty good, until I reached the end of a left-turn which ended on a road which I didn’t remember on the map. Luckily another runner appeared up the road, and he helped me on my way, down to the A24 and back up to meet the South Downs Way just near Chanctonbury Ring. It was just before there that I joined the Stinger route for part of the way (miles 8-11 I think), where I chatted with the Sussex Sport Photographer for a bit, and an ultra runner who was running the race for an arthritis charity. He himself had arthritis, and had only the year before completed the SDW100 himself. Big respect! 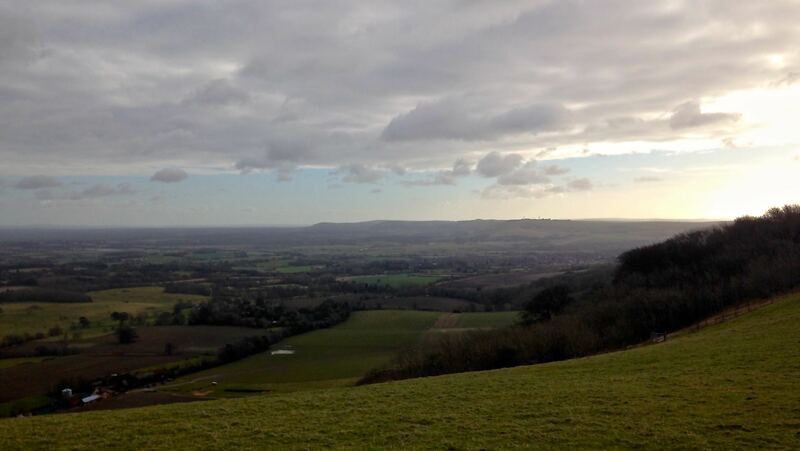 I stopped at Chanctonbury to quickly take a shot of the breathtaking view looking north-east from the escarpment. And followed the route down towards the Adur. I’ve run the path above two or three times in the past month, and today’s view was stunning. Once at the Adur, I took advantage of the water tap to fill my bottles (and my belly!) with ice-cool water, and carried on. The rest of the run went fairly well until I reached mile 16. At this time, a few niggles had started to appear, reminding me of their presence every once in a while. In addition I’d been doing some calculations, and realised I’d be doing only about 22 miles. So, my mind was listening to my body, and the mental gremlins were asking me why I was doing this, putting doubts into my mind as to whether I could pull off a complete 50 mile run, when a 20 mile run was looking unlikely. By the time I’d reached Newtimber Hill (which I might add is a lot shorter than I remembered), it seemed as though some of the niggles had giving up shouting, and the gremlins had gone off to rethink their strategy. I’d realised that if I could add a little loop once I’d got off the downs I could get myself to a possible marathon distance, so that became the plan. When the time to make the choice came, I took the right-hand turn up to the top of the Tank tracks and the Bostall rather than heading left to the Jack & Jill Windmills. I got to the left-turn for the Bostall and headed down. Instead of going straight home, I took a wiggly route through Clayton, and back into Hassocks via the Cinder path, and back home round the back of Mackie Ave.
Quite a morning’s run in the end culminating in an enjoyable run. It’s a little tougher on your own. Running with someone really does help to keep out the demons. It’s interesting to see how little you can fuel your runs with, but I think a bigger water bottle for next time is a good idea! Maybe review the salt tablet idea for the race. Over and out, until next time! Previous Article How to do it all wrong and still achieve. Next Article Each Race is Training for the Next One.